The Allegra is also available in a built-in version, which has been created with a blend of organic styling and circular design, making it suitable for any upscale bathroom project. With comfortable built-in seating, four armrests, and an ergonomic interior, this model is ideal for long, spacious and full body soaks for one or two bathers. 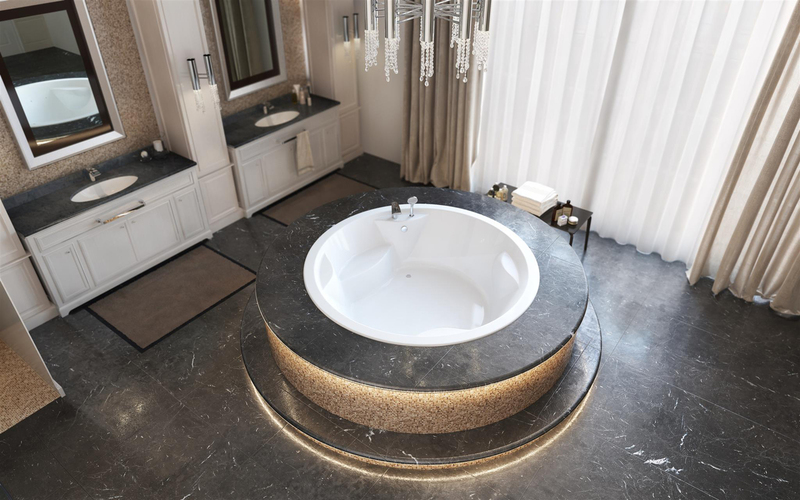 The premium acrylic material used by Aquatica from Lucite International provides this tub with thick walls, excellent heat retention, and durability. Being one of our largest designs with a water capacity of 145 gallons, Allegra is available in a variety of custom color options, in either white, monochrome, pearl or granite making it easily suited for any bathroom scheme.